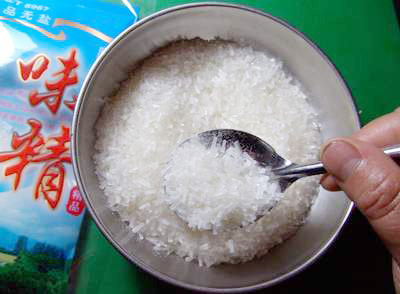 The first major population study to look at the possible role of MSG and asthma has found no link between the consumption of monosodium glutamate and asthma rates. Dr Shi Zumin, a researcher from the Department of Nutrition and Foodborne Disease Prevention at Jiangsu Provincial Centre for Disease Control and Prevention, Nanjing, undertook a study of MSG and asthma because emerging evidence shows that diet is related to asthma. In a study of data from 1486 Chinese men and women who participated in the Jiangsu Nutrition Study, MSG intake and dietary patterns were assessed in 2002. Information on asthma history was collected during followed-up in 2007. Of the study population, 1.4% reported ever having asthma. MSG intake was not positively associated with asthma. However, there was a significant positive association between ‘traditional’ (high loadings on rice, wheat flour, and vegetable) food pattern and asthma. No link with asthma was seen with a diet rich in meat and alcohol, nor for a 'sweet tooth' diet high in cake, milk, and yoghurt, or a ‘vegetable rich’ diet high in whole grain, fruit, and vegetables. Dr Shi says a MSG was first reported to be linked to asthma attacks in 1981 after a person developed asthma after ingesting a meal in a Chinese restaurant. However, small clinical trials on MSG and asthma have yielded inconsistent results, with some suggesting that MSG intake was a trigger factor for asthma, while others showing no link. "In our [study], even though the mean MSG intake is high compared with many developed countries, we did not observe a significant increased risk of asthma," he concludes.